On our one day countryside hiking tour you can escape crowds, see mountain views and experience Nepalese farm life without committing to a full trek. Our friendly guides know the area well, will organise everything and ensure you have a great time. At 7:00am, we leave L.N. 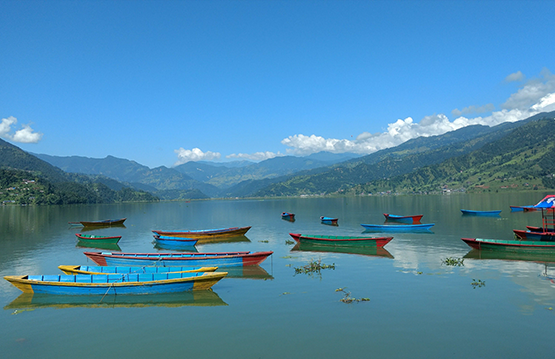 Treks’ office at 6 Lakeside, Pokhara. After a one hour drive, we arrive in Astam/Dhital and follow a non-touristy trail to Nuwagaon through beautiful terraced hills and villages. On the way you can cross a bamboo bridge, swim in a crystal clear river and see Mount Annapurna, Himchuli and the famous Fishtail. When we reach the farmhouse you can eat organic home cooking, play with domestic animals and relax. We drive back to town around 5:30pm.